It’s a learning moment for everybody. Sofia Coppola, Cannes award-winning director of “The Beguiled,” didn’t know what the Bechdel Test was. In an interview with GQ, Coppola expresses her confusion about the term when the journalist asks her about it. “Would you say this is the rare feminist film that struggles to pass the Bechdel test?” Kristen Yoonsoo Kim asks. When Yoonsoo Kim explains it to her, Coppola’s response is a bit confusing. For the uninitiated, the Bechdel Test (or the Bechdel-Wallace Test as it is sometimes called) is a basic marker that can point to gender inequality in a film. If a story features multiple female characters and they talk to each other about something besides a man, it passes. 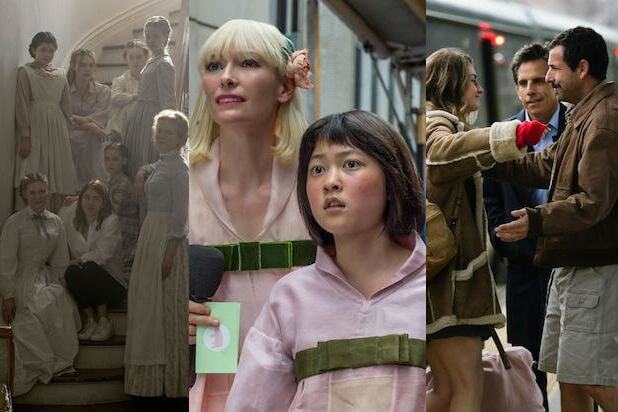 Just because a film passes the Bechdel Test doesn’t mean it’s automatically feminist. It purposefully sets a low standard, since according to the Bechdel Test website, only around 57 percent of the films in its database pass. But what makes Coppola’s response so strange is that it’s not something you’d typically learn in a film theory class. The Bechdel Test was coined by cartoonist Alison Bechdel, who explained the rules in the comic strip “Dykes to Watch Out For,” which first appeared in 1985. While it has been adapted by certain critics, it’s something that has become popular through internet circles and in passing conversation. So you’d think Coppola would’ve heard the term at least once.